Unless Mike has changed his molds around dramatically, he sells the E46 nose that most of the kits went out with, or, he sells a "VERSION" of an E36 nose that incorporates a wide and deep undertray, as well as a front lip or splitter. This nose incorporates the kidney grill, full bumper cover, and matches his fenders pretty well. 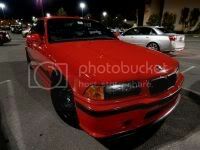 It does NOT however look "just like" an E36 PTG car did. 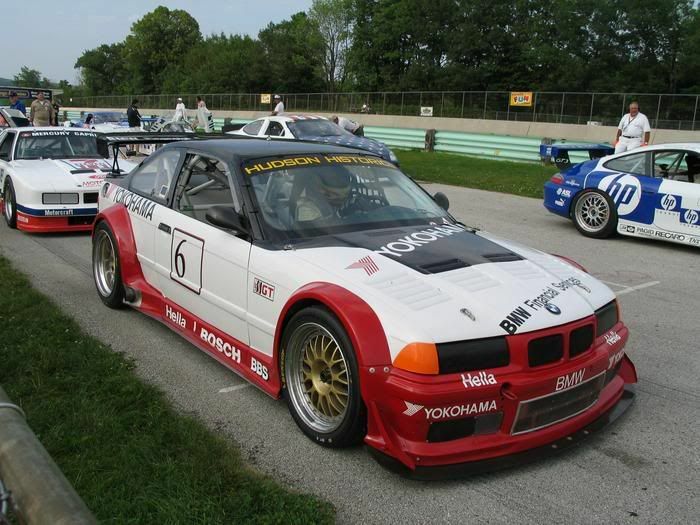 The E36 PTG cars mimic the M3 LTW in overall size and shape, with a flat bottom, and a "blank" usually in the middle filled up, and often painted black. ABLOriginalParts.com or Don has some photos of the MaShaw E36 styled bumper cover of which I speak...and you can see the differences when you look, they are particularly apparent on the sides where the fenders flow into the bumper covers. As to that cooling hose? Um... I guess it could swing around to the other side of the car and cool the alternator... when I said it came from the right fog light, I meant, passenger side of car, not the side where the alternator actually sits... but... perhaps it does cross over? Any one look at the photo buckets to see what I meant? They liked ambers so much, they painted the fake corners that way! Ambers FTW! Thanks for the Pics! Love the PTG cars from the era....share more!! Me either, thats me standing behind it! I stood like that in awe the entire day. Do not trust any fart. one of the best looking race car EVER! 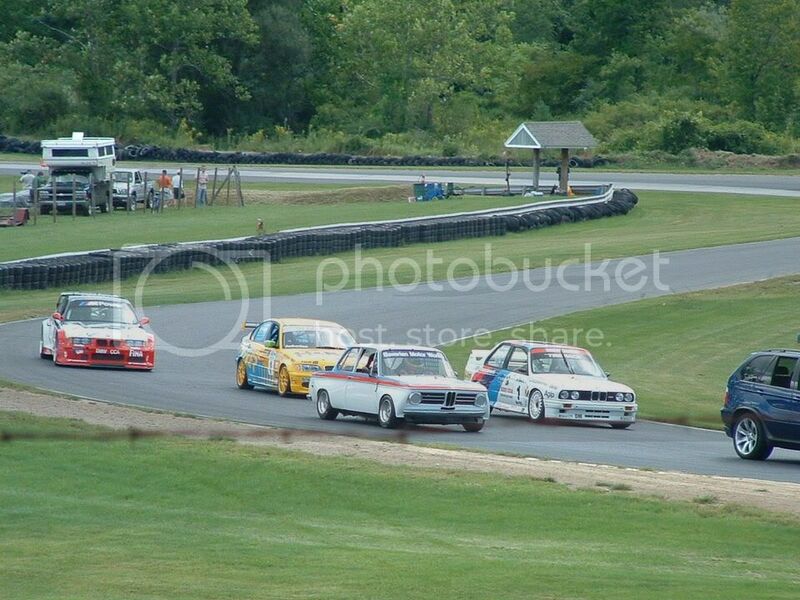 There is a great photo of the E36 Shaw bumper in the thread now, in the track photo of the white/blue Kathan E36 car, THAT is the bumper Shaw has, minus the little winglets. The intake cooling hose I spoke of is for the harmonic balancer, it directs cool, fresh air onto that to preserve it. I'm seriously considering this kit. I'm completely in love with it. However, if I do widebody my E36, i have to officially get a storage spot cause it will no long fit in my garage (or it would be a tight squeeze which i would need help to put the car in every single time). Don are you going to build a replica kit? I want one. Preferably a GTR kit but a PTG would be fine too. Well I have now fapped twice to those pictures, just can't get enough of them. Sure. Give me 4-5k and I will get you one, minus hood/spoiler. Edit: okay here we go, some arent true ptg but I didnt have time to differentiate. The all white ones are from the ptg factory minus the first i think. Last edited by jhstealth; 08-11-2009 at 01:44 AM. Isn't that one a hill climb car with a V8? Or am I thinking of something different? Last edited by aaron86; 08-11-2009 at 10:46 AM. You should've seen the internet explode with whiners when BMW changed the "2002", to the "3 series". It was crazy. 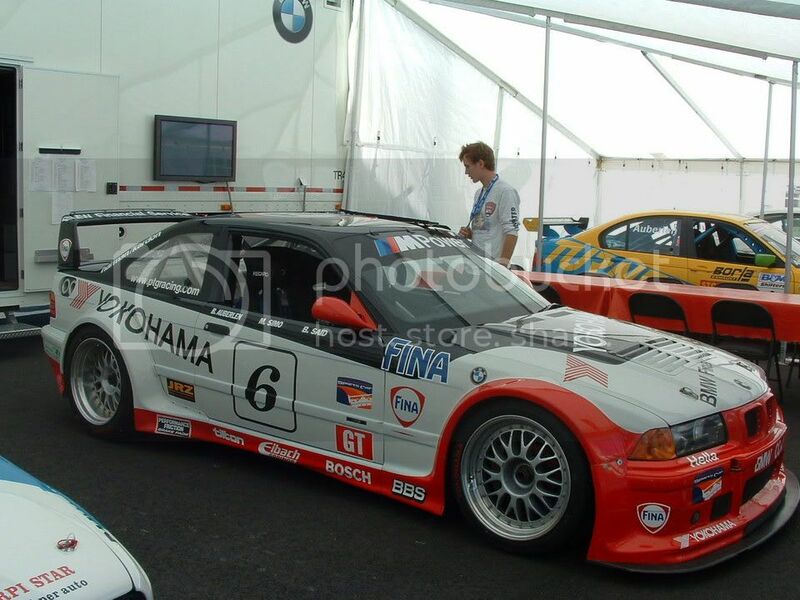 The white/blue BMW is a Flossman widebody/car. Bump for more fun pictures. Yes, but it's always nice to look are more/other pictures of the PTG cars to get some new sticker ideas, wheel choices/colors, etc.